New York - Gov. Andrew Cuomo wants to postpone a referendum on whether to allow major casinos off Indian land in New York. That vote by the public to amend the constitution to allow casino gambling beyond tribal facilities had been anticipated this November. But Cuomo says the lack of statewide political races could reduce voter turnout and support for the referendum. 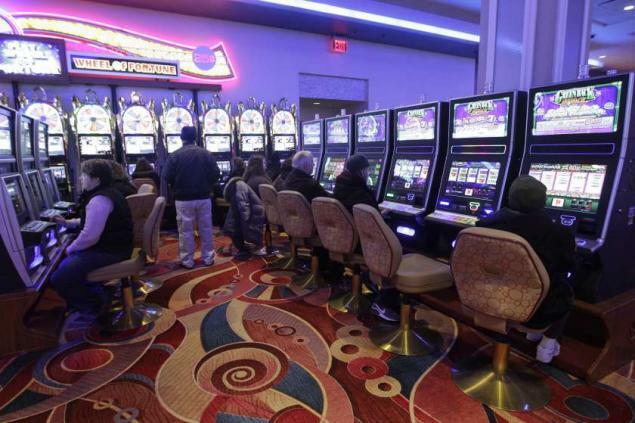 He proposes three upstate casinos, but the Legislature could change that. The sites haven’t been selected. Cuomo is promoting his casino proposal as an economic development and jobs project for upstate. The Legislature is scheduled to give its required second approval of a constitutional amendment to expand gambling before the end of session on June 20. There seems to be one delay after another. These casinos are critically needed by their respective communities for economic development and revenue sources, Even the heimeshe community would benefit since they would provide entry level jobs for frum boys and girls with minimal job skills (accounting, computers, maintenance NOT as dealers or waitresses), and provide good clean entertainment for motzi shabbos. Cuomo's decision kicks the can down the road for another year for political reasons. I've already seen people wander into the Racino at Aquaduct and instantly become addicted to the fast action and excitement and immediate rush at the dice tables. Don't think that the seductiveness of it only hits other people. And often people who work in the back office lose the money at the front. "Even the heimeshe community would benefit since they would provide entry level jobs for frum boys and girls with minimal job skills (accounting, computers, maintenance NOT as dealers or waitresses"
Most of our yeshivas do not teach accounting and barely any have computers since they are banned, so how will our kinder get these minimal skills jobs you claim are for them? “ "Even the heimeshe community would benefit since they would provide entry level jobs for frum boys and girls with minimal job skills (accounting, computers, maintenance NOT as dealers or waitresses"
Well, then maybe its time to take a second look at whar our yeshivos are teaching since I would assume you don't think a ben torah should be dealing blackjack or a baas yisroel should be walking around in a skimpy dress serving drinks to the gamblers...the back-office jobs make sense and you say we don't want those either. Than what do you want these young men and women from the heimeshe communities do do to support themselves and their families other than collect food stamps and welfare checks? This madness is only reinforced by a story in Yated this week that Rav Shteinman came out screaming against a plan that c'v would have allowed the teaching of some useful technology skills in kollels that might allow the yungerliet to get a job. There seems to be a view that the next generation must be kept dysfunctional and illiterate and spend their lives in front of a shtender with no outside options. perhaps the state should get involved in selling meth and heroin since that would also help "unz". Forget economic development. If you want a soul-less community, totally treif in every way w prostitutes, alcohol related deaths, bring in casinos. I heard one is coming to Willi. Run by the tribe of course.